Three essays on Sister Carrie which place the novel in its historical and social context and discuss its composition. Facsimiles of the 1900 typescript for Sister Carrie and early drafts of Jennie Gerhardt. The 1900 edition of Sister Carrie in facsimile and searchable text. The 1981 University of Pennsylvania Press edition of Sister Carrie in searchable text. An extensive collection of photographs and a film clip from the library’s Dreiser collection. An online version of Theodore Dreiser: A Primary Bibliography and Reference Guide, ed. Donald Pizer, Richard W. Dowell, and Frederic E. Rusch (G. K. Hall, 1991), which has been updated through 2012. A Register for the Theodore Dreiser Papers. 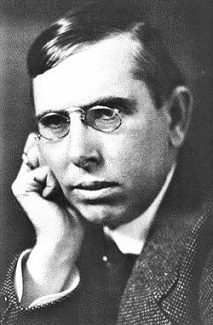 Provides a detailed, searchable inventory of the contents of the University of Pennsylvania’s Theodore Dreiser collection. Essays on Dreiser’s reputation by Donald Pizer and on his life by Thomas P. Riggio. “Dreiser’s Private Library” by Roark Mulligan. An exhaustive catalog originally published in Dreiser Studies in 2002. Searchable correspondence (images of same) by Dreiser and others, including his family. This section is under development, but is already useful. This well designed site contains a “Heard in the Corridors” page with announcements of interest to Dreiser scholars. PDF files for all issues of The Dreiser Newsletter (the predecessor publication to Dreiser Studies) from 1970 through 1986. Full text images of the complete Dreiser Studies from 1987 through 2005. Dreiser Studies ceased publication with the winter 2005 issue and has been subsumed by a successor publication, Studies in American Naturalism. The complete Dreiser Society Newsletter, 1991 through 1997, available in the form of PDF files. The Dreiser Studies issues posted on this site (as noted above) contain bibliographic updates on Dreiser published in Dreiser Studies from 1992 to 2005. Robert H. Elias, who was intimate with Dreiser, was Dreiser, was Dreiser’s first biographer. “Theodore Dreiser” – The Columbia Encyclopedia, 6th ed. A web page maintained by Donna Campbell which provides links to useful sites.